The Medico-Chirurgical College and Hospital of Philadelphia Records were transferred to the University Archives in various accessions between 1968 and 2015. This includes 1968 May 19 (Accession 68/28), 1971 July 14, 1972 October 30 (Accession 70/72), 1973 February 27, 1981 December 14, and 2015 May 26 (Accession 2015: 018). The Medico-Chirurgical College and Hospital Records are organized into three series: Correspondence, General, Financial Records, Student Records, and Hospital. The Correspondence series is further organized into three subseries: Bursar, Dean and General. All series and subseries are arranged alphabetically. The Medico-Chirurgical College had its origins in 1848 as the Medico-Chirurgical Society, which received a charter from Pennsylvania similar to the College of Physicians of Philadelphia. The charter was amended in 1867 to transform the society into a medical college authorized to confer degrees. It would not be until 1881 that Dr. George P. Oliver, who had been a member of the old society and held title to the new charter, organized a faculty to hold classes. Space for the new school was secured in the second floor of a bank on the south west corner of Broad and Market Streets. 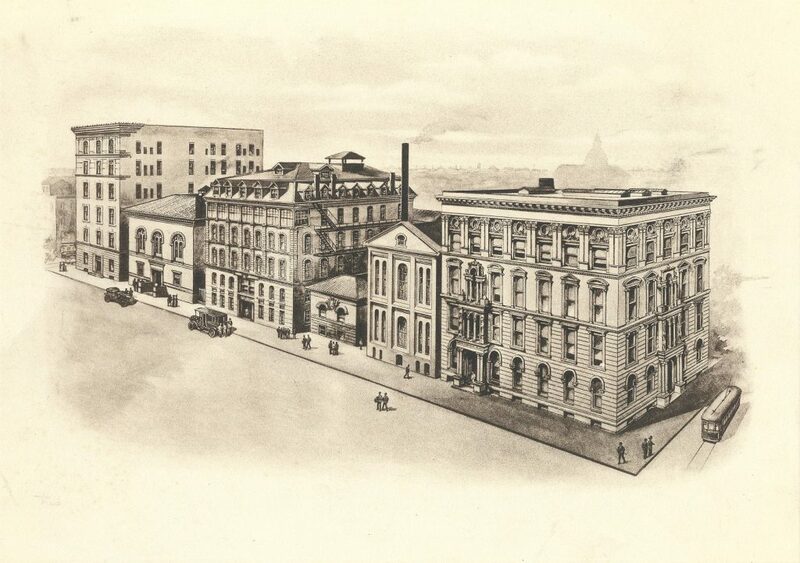 Around 1886 Medico-Chirurgical College absorbed the Philadelphia Dental College and the Philadelphia School of Anatomy and moved to new accommodations on the north side of Cherry Street between 17th and 18th Streets. In 1891 the College opened a hospital in the same location. In 1916 Medico-Chirurgical College’s Department of Medicine and the Department of Dentistry merged with the University of Pennsylvania. The Department of Medicine became part of a new graduate school known officially until 1958 as Medico-Chirurgical College and Hospital Graduate School of Medicine of the University of Pennsylvania. The Department of Dentistry was absorbed into the University’s School of Dentistry. The College’s buildings were demolished in 1918 to make way for the Benjamin Franklin Parkway. The Medico-Chirurgical College and Hospital of Philadelphia Records consist mainly of administrative and financial records for the College and Hospital from the late nineteenth through to it’s merger with the University of Pennsylvania in 1916. Most of the records originated in the Bursar’s Office at Medico-Chi, and were transferred to the Comptroller’s Office at the University of Pennsylvania during the merger. The Student Records contain information on some classes, applicants credentials, examinations, matriculation books. The series does not contain files on individual students. The Hospital Records are primarily administrative and financial in nature. There are two random patient record ledgers for 1914 and 1919. Medico-Chirurgical College (Philadelphia, Pa.). Department of Dentistry. YMCA Medico Chi Questions for Weekly Discussion n.d. Reduction in Tuition Fees Granted Students 1896 June 1 – ? Coming Hospital Examination Dates n.d.